Becky W. Keogh has served as the Director of the Arkansas Department of Environmental Quality (ADEQ) since 2015. She has been engaged in a unique range of technical and managerial roles across government, private industry, and environmental consulting throughout her career. Director Keogh previously held positions as a Vice President and Senior Consultant for an international environmental and engineering firm. She served as Deputy Director of ADEQ from 1996–2006. 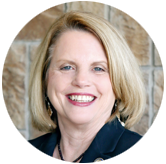 She was subsequently appointed to serve on the Arkansas Geological Commission from 2006–2009. 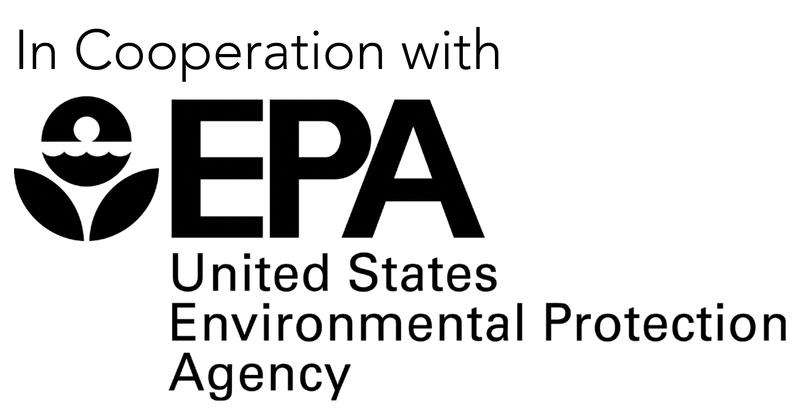 Immediately prior to her appointment by Governor Asa Hutchinson as ADEQ Director, she was employed in an environmental and regulatory management role for an international resources corporation. 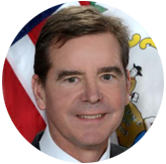 Director Keogh has been an active member and alumni member of the Environmental Council of the States (ECOS) since 1997. A well-respected leader among her counterparts in other states, she was elected by her peers to serve as the 2018–2019 President of ECOS. Additionally, as Director, she has testified on behalf of states’ rights before the Senate Environment and Public Works Committee, as well as the House of Representatives Committee on Science, Space, and Technology, specifically noting the atmosphere of coercive federalism at the time between the states and EPA. An Arkansas native, Director Keogh has a degree in chemical engineering from the University of Arkansas. She is married, has three children, and has four grandchildren. Governor John Bel Edwards named Dr. Chuck Carr Brown Secretary of the Louisiana Department of Environmental Quality in January 2016. Dr. Brown previously worked at LDEQ in the mid-2000s, serving as Assistant Secretary for Environmental Services. Brown earned a B.S. in chemistry from the University of Southern Mississippi. He holds a Masters of Public Administration from Southern University A&M College and a Doctorate of Philosophy in Public Policy/Environmental Policy from the Nelson Mandela School of Public Policy and Urban Affairs at Southern University A&M College. Prior to rejoining LDEQ, Brown held positions as President/CEO of Brown and Associates, LLC, a firm specializing in delivery of environmental services, governmental relations and issue management; Vice President of Metro Service Group, a New Orleans-based firm that consults in waste collection, vertical and horizontal construction and emergency response; and President/COO of Community Resource Services, a Mississippi firm that develops capacity and capabilities of minority-owned businesses. 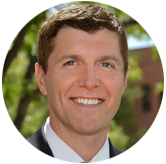 Ryan previously served as the Secretary of Environment and the Natural Resources Trustee for the State of New Mexico. As Environment Secretary, Ryan brokered several key agreements with federal and state agencies, including and landmark settlement agreements with the United States Environmental Protection Agency and the Department of Energy. Ryan serves in the New Mexico Air National Guard and is the proud father of two girls, Livia and Margot. Combining extensive executive experience with engineering and law degrees, Mr. Caperton has provided strategic direction, acquisition, disposition, financing, workout, and project-oriented services to clients primarily in the coal, energy and related fields. Since 1989, Mr. Caperton has generated and managed transactions for clients and consulted on a wide range of management functions, including operations, sales and finance. President, Caperton Energy Company (1989-Current). Provides strategic direction, acquisition, disposition, financing, work-out, and project oriented services primarily to coal, energy and related clients. Manager, Tapper LLC (2003-4). As sole principal negotiated, structured, financed and operated a mining operation for Peabody (NYSE = BTU). A.T. Massey Coal Co., Vice President Development (1988-89). Responsible for corporate development. A.T. Massey Coal Co., President, West Virginia Resource Group (1986-88). Responsible for regional development and operating performance of four producing subsidiaries with gross revenues of $250,000,000 including Elk Run Coal Company, Omar Mining Company, Peerless Eagle Coal Co. and Wyomac Coal Company. Managed the presidents of those subsidiaries and worked to develop strategic plans for acquisitions and growth, as well and tactical plans for increasing profitability. A.T. Massey Coal Co., Vice President Operations - Tennessee Consolidated Coal Co. (1984- 1986). Responsible for operations management of 2,000,000 tpy coal operation consisting of a preparation plant, several underground mines and a surface mine with a total of over 400 employees. A.T. Massey Coal Co., Secretary - Fluor/Shell Partnership Committee (1983-1987). Staff position, responsible for minutes and records of the Partnership Management Committee composed of four representatives each from Royal Dutch Shell and Fluor Corporation. Slab Fork Coal Co., President (1980-1983). Slab Fork was a low-volatile metallurgical coal operation involving multiple mines and multiple preparation plants with sales in excess of $50,000,000. Divested a major land development subsidiary and doubled the mining asset base through an acquisition of neighboring Westmoreland Coal Co. assets. Responsible for all aspects of the company including sales, finance and operations. Managed cash flow, capital expenditures, debt facilities, leasing facilities, working capital facilities as well as standard financial operations. Slab Fork Coal Co., Executive Vice President (1978-1980). Responsible for all aspects of the company including sales, finance and operations. Slab Fork Coal Co., Assistant Vice President (1976-1978). Reported to VP Mining and assisted management of all mining operations of the company. 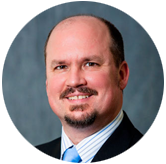 Dr. Kinney is the Executive Director of the Texas Board of Professional Engineers. 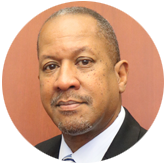 He has been with the Board for over fifteen years and is responsible for all agency programs and activities, including legislative, rule, budget, and policy issues, and represents the Board at statewide, national, and international functions. He also gives licensing and ethics outreach presentations all over the state at universities, companies, and associations.